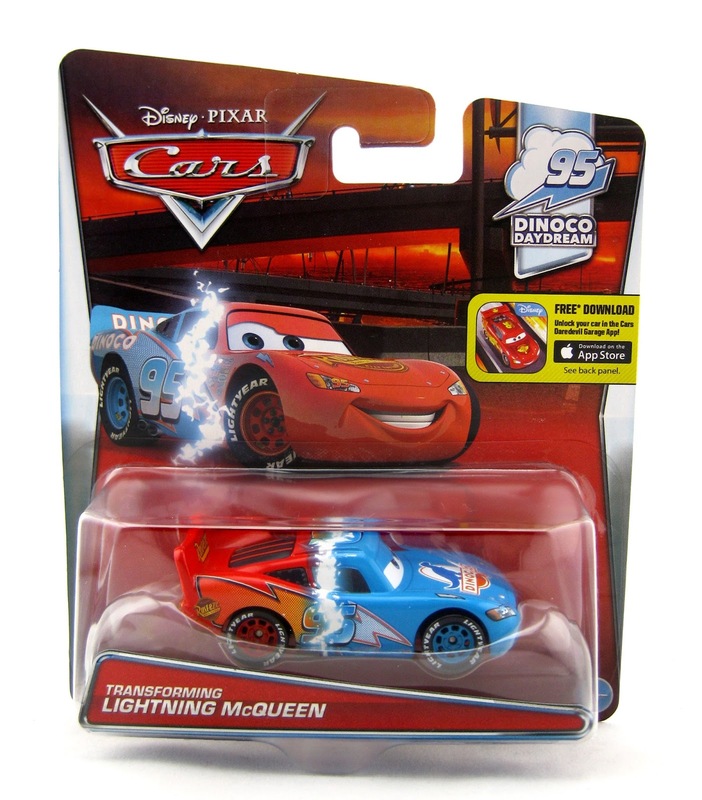 From Disney·Pixar's Cars, here we have the brand new, never before released Mattel 1:55 scale diecast of Transforming Lightning Mcqueen! This has just been released and is part of the 2016 "Dinoco Daydream" sub-series (#1/9). You might be thinking, aren't there a hundred Mcqueen variants out there? Do we really need another one? While it's true that new Lightning Mcqueens are released left and right, there has never been one quite like this. This has to be one of the coolest versions yet; such a clever idea brilliantly executed! I never would have thought of this. 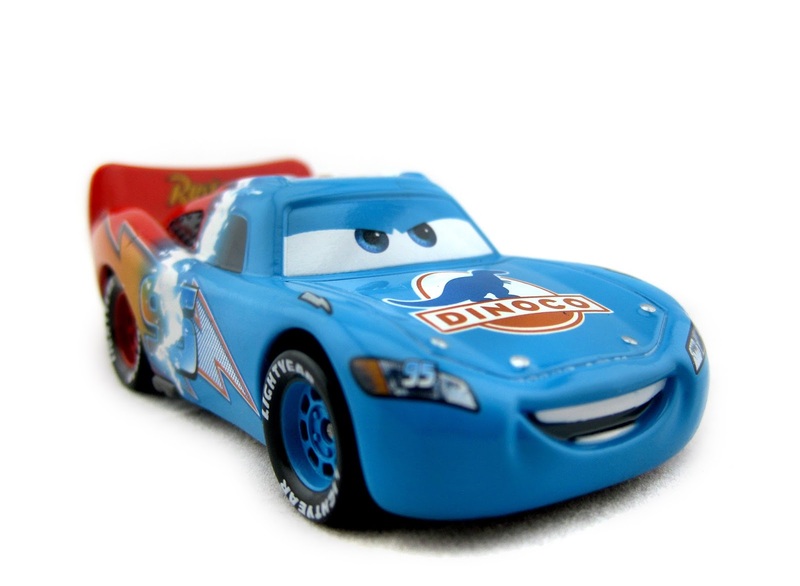 As shown in the screenshot above, Mcqueen is seen "transforming" from his red to Dinoco blue paint job during his daydream near the beginning of the film (when The King is trying to give him racing advice). This diecast perfectly captures that moment! Something interesting I noticed is that they got Mcqueen's transformation wrong on the package (I'm so glad they got the diecast right). In the film, he transforms from front to back. On the cardback picture, he's transforming from back to front. It's no biggie, but it's something I wanted to point out! I was able to find this at my local Walmart just a couple of days ago. I was so excited! I had been wanting to get my hands on this one for months. Be sure to head to your nearest Target, Walmart or Toys R Us to check for availability- or you can check out current eBay listings HERE or visit Amazon using the direct link below. Happy hunting!